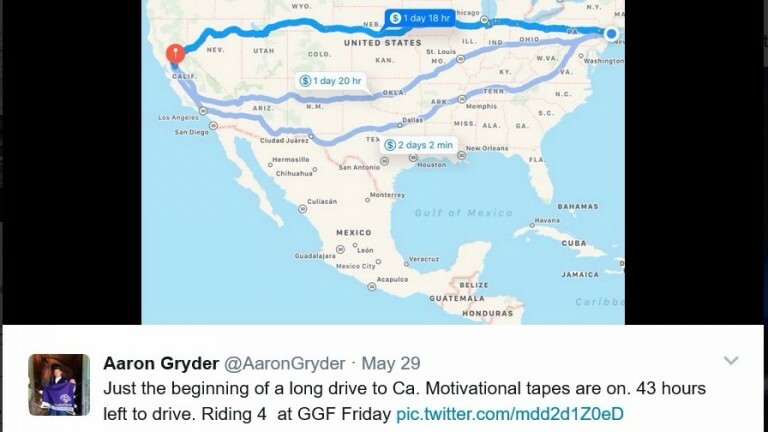 Flat jockeys in Britain might think they have it bad when trying to negotiate the M25 on the way from Lingfield to Chelmsford during rush hour, but they should perhaps spare a thought for Aaron Gryder, who on Tuesday was nearly halfway through his marathon journey from New York to California for four rides at Golden Gate Fields in San Francisco on Friday – a 2,908-mile trip. Gryder, who won the final World Cup staged at Nad Al Sheba on Well Armed, has been based in New York, but is moving back to California so he can be closer to his two children. 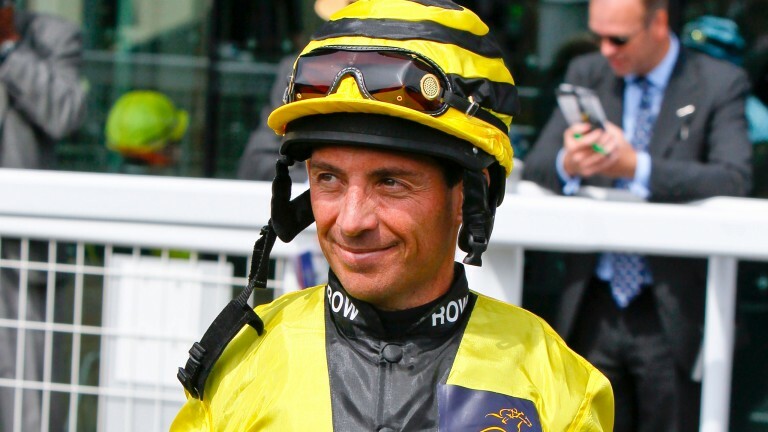 Explaining why he decided to drive rather than fly, Gryder, who has ridden more than 3,000 winners, said: "It was such late notice I decided to come and I didn't have time to organise getting the car shipped, so I thought I'd just get in and start driving. "I sold most of my stuff or gave it away. I opened the doors to my friends and said take the couches, take the beds, take whatever you want for free – they came very fast! "I wanted it cleared out in two days, pots, pans, dishes, everything." Asked if he had someone to share the driving, Gryder, who was speaking from Iowa having left New York on Monday morning, added: "I don't have room for anybody. I've got so many clothes in here I hope I don't get a ticket from a cop because I've got nowhere to put it! Everything has gone smoothly and I hope to be in San Francisco tomorrow lunchtime." Gryder, part of the successful Rest of the World team at the 2012 Shergar Cup, has driven across the States before – "my kids were three and five and I was with my ex-wife – talk about a long journey!" – and has no plans to call time on his 30-year career despite his 47th birthday approaching on Monday. "I love racing," he said. "Every day I run between five and ten miles and the other day I went to Central Park and ran over 17 miles. I feel better than ever, but the only time I've thought about it is when I've had offers to do TV. I've put that off, but if my business didn't support me enough and it was more valuable to move on I would, although right now I love what I do." I've got so many clothes in here I hope I don't get a ticket from a cop because I've got nowhere to put it!